Lotus is pleased to announce that we’re now representing the new Ibiza restaurant and music venue, ‘TATEL Ibiza’. TATEL is located in the heart of Playa D’En Bossa at the stylish Hard Rock Hotel Ibiza next to Ushuaïa Ibiza Beach Hotel; two properties from Palladium Hotel Group, which Lotus has represented since the opening of Ushuaia Ibiza Beach Hotel back in 2011. The restaurant, which officially opened on 28 April, TATEL Ibiza has capacity for up to 300 people, bringing stylish Spanish cuisine, forward thinking cocktails, live music and DJs. TATEL Ibiza boasts the atmosphere of a speakeasy club with 1920s glamour, live music and beachfront terraces. The restaurant exudes its own personality, thanks to the work of Italian design firm, ILMIODESIGN, maintaining the aesthetic identity of TATEL Madrid expertly designed under the guidance of interior designers Michele Corbani and Andrea Spada. With its privileged location, an area of 1,400m², TATEL Ibiza offers a unique environment made up of distinct interlinked areas. These include a large terrace with Mediterranean Sea views, the restaurant’s main lobby area, a large private space ideal for VIP events and many other corners and alcoves. The real jewel however is the copper DJ booth, creating the ideal space to enjoy the famous Ibiza sunsets with entertainment provided by the highly acclaimed USHUAÏA IBIZA, supported by live performances from singers, percussionists and DJs. The new opening of the restaurant follows the recent opening of TATEL Miami and marks the next step in an ambitious global expansion project of MABEL MANAGEMENT (the Hospitality Management Company for TATEL and USHUAÏA, belonging to the MABEL CAPITAL group).  The account will be headed up by Lotus associate director Kate McWilliams and supported by account manager Georgina Oakley.  Lotus has a long history of working with Ibiza and more recently the Balearic Islands and is delighted to be working with TATEL Ibiza. Average Price: 70 € per person.